Alongside Christ the Redeemer, Sugar Loaf and the Maracanã Stadium, visits to Rio’s favelas are now firmly rooted on the city’s tourist map. Hotels and hostels offer visitors organized trips to favelas across the city, with an ever-expanding range of alternatives–from more traditional “tours” to culinary experiences, and even “favela paintball” on offer. From large companies to individual entrepreneurs, countless people–most of them not residents of favelas–are now involved in this burgeoning industry. Yet tourism in favelas is often as controversial as it is popular, accused of being just another manifestation of exploitative, voyeuristic “poverty tourism.” Here we seek to give an overview of favela tourism, examining a few of the alternatives and assessing its potentially problematic aspects, as well as benefits that tourism in favelas may bring. This caricature captures what many, inside and outside the favelas, feel is wrong with these tours. It is voyeuristic; it is patronizing; it stereotypes; and it exoticizes, ultimately serving to reproduce the myths and prejudices that maintain the social conditions which exclude favelas and their residents from the rest of the city. 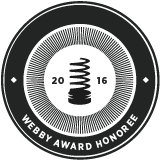 Yet many of the typical complaints can be avoided if the tour is done responsibly. 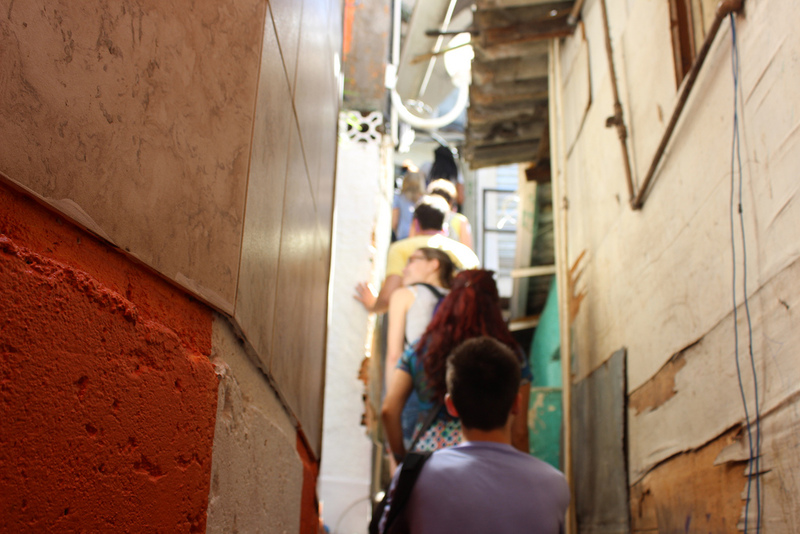 Taking a group of visitors to a favela, most likely a place different from anything they have ever experienced before, will undoubtedly foster a certain level of voyeurism. So much will be new to them that they will be curious to gawk and explore. 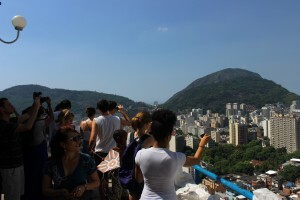 Yet, as researcher Tucker Jordan observes in his three-part blog post on favela tourism, all tourism is by nature voyeuristic, and one should not fall into the mistake of ruling out visiting a favela just because of this potential. Perhaps most importantly, it should be stressed that touristic visits to favelas do not qualify as straightforward “poverty tourism.” Put simply, favelas are not “slums,” and not necessarily that poor. A study by Data Favela, a research institute that specializes in the economic conditions of favelas, found that, with the explosion of the “Class C,” 65% of Rio’s favela residents are now middle class. This is not to deny that poverty is a significant problem, but neither those who go on the tours nor those who criticize them should simply assume they are hotbeds of misery and suffering. Indeed, an upshot of taking otherwise naïve tourists to favelas is precisely to show them this. For all the problems with poverty and related issues, favelas are rich places: be it culturally, historically–or, even, economically. Exoticization is undoubtedly a potential problem. Yet, despite her sympathetic approach, Kruschewesky seems to carry many of the subtle prejudices that, ironically, make an unsqueamish exploration of this “other” an important thing. For years, tourists–and indeed, most non-favela Rio natives–would not dream of entering a favela, because of a plethora of fears. And it is precisely the “otherness” this created that leads to the social exclusion at the core of many problems in favelas. 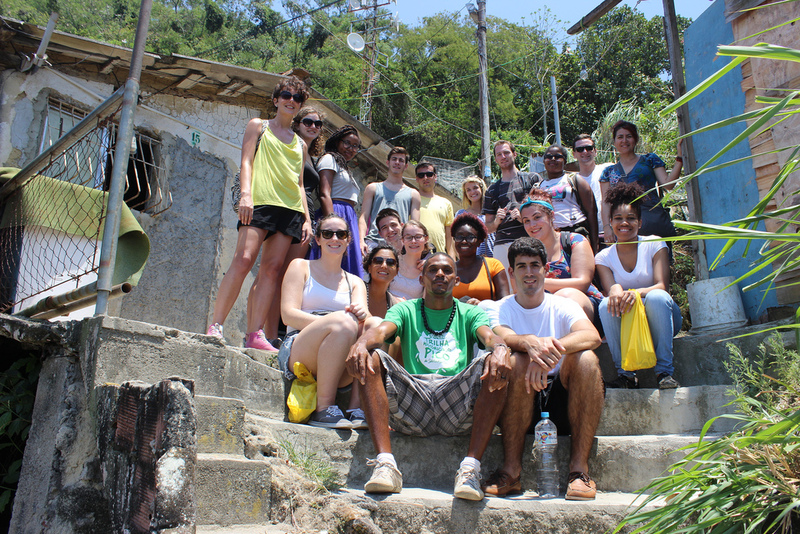 Catalytic Communities’ Favela Perceptions Survey shows how visits to favelas help break down this otherness. Of the non-Rio residents surveyed, 64% of those who had never visited a favela had an unfavorable perception of them, with only 14% having a favorable perception. Of those who had been to favela, the table turned, with only 29% seeing the neighborhoods unfavorably and 71% left with a positive view of the residents. The survey also shows that those with an unfavorable perception of favelas overwhelmingly learn about them through mainstream news sources or films. There is one final, worrying, implication of tourism in favelas. As observed, the UPPs were important for “opening up” the favelas to outside visitors. As a result, in addition to visiting as tourists, foreigners even began to live in favelas. 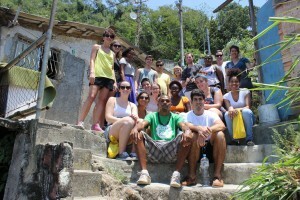 A recent article, though likely overestimated, put the number of foreigners in Vidigal at 1000. What is the consequence of this? Residents have found their public spaces increasingly monopolized by outsiders, and parties for outsiders prioritized within their own communities, without clear alternatives for them. Simultaneously, Rio’s affordable housing market has not expanded to accommodate those displaced. All this chimes with the increasingly pressing question of gentrification: as those with higher acquisitive power increasingly monopolize the community, residents see the cost of living rise and their lives become unmanageable. Tourism can undoubtedly be part of this process, for as much as those with an entrepreneurial spirit can capitalize on the economic benefits, it is not clear that these benefits will permeate to the rest of the community. 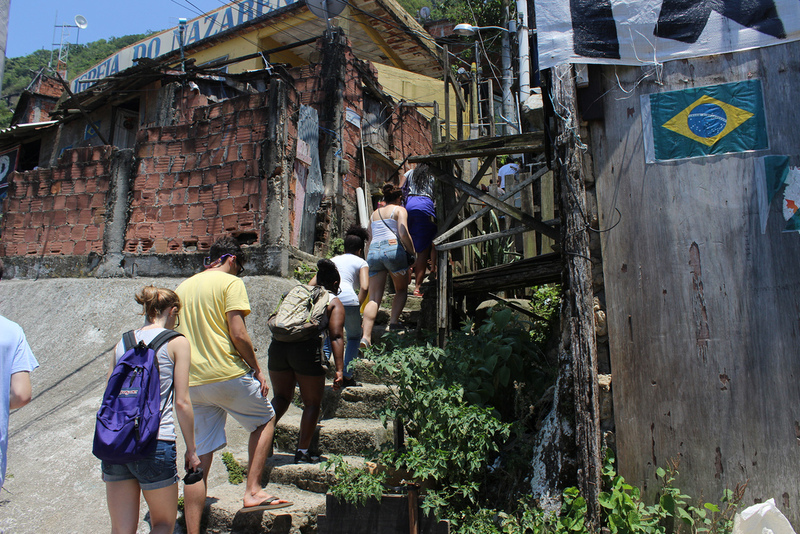 Ultimately, favela tourism is a complex, and problematic, topic. Yet it should not be dismissed out of hand. As much as it can be vulgar and exploitative, reproducing dangerous narratives and exoticizing the favelas, it can also help to break down these narratives and foster a healthy dialogue about the favela and the city. 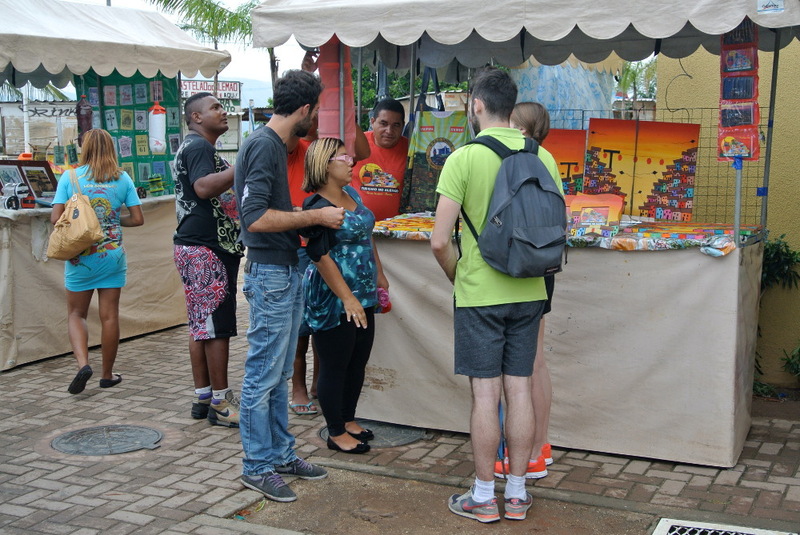 In order to ensure that favela tourism is done properly, it is necessary that tourists search beyond big tour companies, and find alternative narratives–ones that aren’t reproduced in mainstream discourse, giving expression to the voices of the communities themselves. 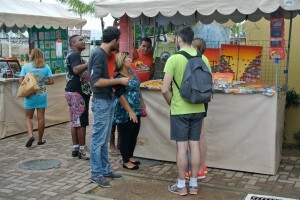 Tourists should take note of guides who, such as Vitor and Cleber, try to bring real benefits to their communities, engendering social consciousness and change–even if it means turning the very concept of tourism on its head. And policies, such as rent control in pacified favelas, should be pursued that allow communities to benefit from visitors without losing themselves in the process. To contact Cleber visit the Turismo no Alemão Facebook page or to contact Vitor email vitor.toursantamarta@gmail.com. 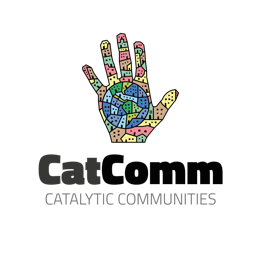 Catalytic Communities is also available to connect visitors with community-based guides and translators in a range of communities through this form. This article was written by Benjamin Parkin, and published on June 6, 2014.